The need to prop up the medical schools blew a hole in the state budget for next fiscal year. Lawmakers argued not filling the gap would seriously damage Oklahoma’s effort to address a severe shortage of physicians and would jeopardize the schools’ accreditation. With bipartisan support, funding was rushed through to Gov. Mary Fallin’s desk to cover what the state lost this fiscal year and expects to lose next fiscal year. Meanwhile, state officials turned to the congressional delegation to press federal health officials to sustain the funding. But federal officials question the need for Oklahoma to spend what studies show are among the nation’s highest amounts, per medical resident, on the training of doctors who treat Medicaid patients. They also object to how some of the additional funds go toward medical-education overhead instead of direct patient care. The care is provided at the teaching hospitals and affiliated clinics for the University of Oklahoma Health Sciences Center in Oklahoma City and the Oklahoma State University Center for Health Sciences in Tulsa. “We’re paying salaries and overhead for the support of the schools. … Unless that changes, we can’t support Medicaid funds going to support the administration of a university,” an official with the Centers for Medicare and Medicaid Services said in a Nov. 30 conference call with the Oklahoma Health Care Authority. Oklahoma leaders say the higher payments to doctors at the medical schools are justified because the state has an extreme shortage of doctors, high rates of low-income and uninsured patients, and poor health outcomes. Medical school doctors also don’t see as many privately insured patients as other physicians. “The reimbursement rates received by the doctors at our state medical schools bring the compensation closer to commercial insurance rates for rural and specialist access,” the two medical schools said in a joint statement. In a complicated arrangement, the Oklahoma Health Care Authority pays faculty doctors and residents who treat Medicaid patients through the OU and OSU health sciences centers at 140 percent of Medicare reimbursement rates. Oklahoma doctors who treat Medicaid patients typically are reimbursed at 86.6 percent. Oklahoma did this under a now-expired waiver from the Medicare and Medicaid centers, which funds and monitors SoonerCare, the state’s Medicaid program, and matches part of the money for graduate medical education. The waiver program dates to 1996. An auditor with the centers first flagged problems with Oklahoma’s Medicaid waiver for graduate medical education in 2015. The review found that Oklahoma’s required waiver expired in 2001. Federal officials continued making supplemental payments for more than two years. But in December, the centers asked the state to return $31 million in matching payments. The agency also said it couldn’t continue federal matches for Oklahoma’s program in its current form. State officials characterized the decision as “abrupt” and turned to Oklahoma’s congressional delegation for help. In the meantime, the state needs to spend $140 million to keep the medical schools running and make sure they don’t lose their accreditation. House Bill 1022xx, which passed in the second special session, makes a supplemental appropriation of $31.7 million to the Oklahoma Health Care Authority for fiscal 2018 and gives it another $110 million for fiscal 2019. The Senate passed the bill on March 1, and Fallin signed it on March 5. The special, 140-percent rate for doctors at the medical schools came as the Health Care Authority contemplated across-the-board cuts to Medicaid provider payments to make up for a shortfall caused by the Oklahoma Supreme Court’s decision last year striking down a tobacco fee that would have provided money to the agency. The rate reductions were later rescinded. At the federal level, the Trump administration’s latest budget proposal would cut Medicaid funding and convert Medicaid to a block grant for states. Trump’s proposal, which would need congressional approval, includes a consolidation of federal graduate medical education programs into a single grant program for teaching hospitals. In budget hearings in late February, some state senators questioned why a solution hadn’t been found since the state was first notified in 2015 of waiver problems for the medical education program. Becky Pasternik-Ikard, head of the Oklahoma Health Care Authority, said state and federal officials spent about a year looking for the original waiver but couldn’t find it. 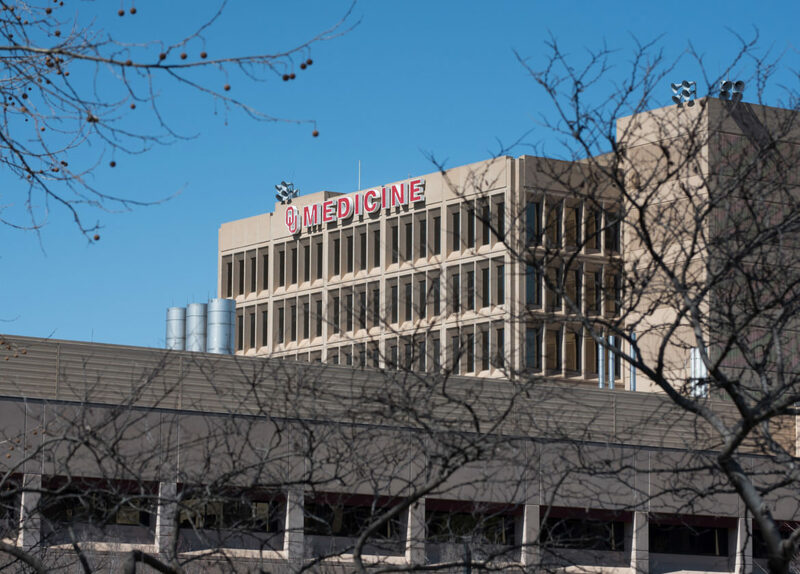 “Our position as an agency is that we had the authority” to continue making the supplemental payments under the graduate medical education program, Pasternik-Ikard said. She told senators the Health Care Authority didn’t drop the ball. Rather the waiver for the Medicaid medical-education program was inadvertently removed from the agency’s “special terms and conditions” with the federal government as the SoonerCare program was renewed on a regular basis. By early 2017, federal officials directed the state to begin work on revising the program, including modeling it on workforce development programs in Rhode Island and Oregon. In August, Oklahoma submitted a new plan that included goals to enhance the state’s pipeline for medical professionals. Federal officials denied Oklahoma’s application in November, again objecting that the plan focused on the medical schools rather than direct patient care. A review of letters and conference call transcripts over the last two years obtained under the Open Records Act shows federal officials became increasingly concerned about the high Medicaid payment rates for doctors at the OU and OSU medical schools. Under a 2003 fee schedule in the state’s governing document for Medicaid, called the State Plan, doctors at the two medical schools are reimbursed at the higher rate. Discussions between the Centers for Medicare and Medicaid Services and the Health Care Authority over the program intensified in late 2017 as it became clear federal officials wouldn’t approve the state’s proposed plan and continued to question the higher payment rates. In a November conference call, Dr. Garth Splinter, the Health Care Authority’s deputy CEO, explained the background of the medical education program to federal officials. They questioned why Medicaid money was going to support salaries and overhead instead of services for Medicaid patients. “The payments usually have to be the same in all clinics. You should be able to get the same payment in one clinic that you would for the same service in a different clinic,” said Annie Hollis, a project officer with the Medicare and Medicaid agency. Oklahoma officials expressed their frustrations with some of the federal questions. “I don’t necessarily think it is wrong as a taxpayer – I understand. But I think it is going to be extremely disruptive, and we need a way to soften the blow so we don’t gut our medical educational system and delivery system,” Splinter said. More than 40 states make graduate medical education payments under their Medicaid programs. Most of the payments go to teaching hospitals that serve Medicaid patients. Oklahoma is one of just three states where medical schools can receive supplemental Medicaid funds to train doctors. Tennessee and Minnesota are the others. Nationally, Medicaid medical education funding reached $4.3 billion in 2015, according to the most recent survey by the Association of American Medical Colleges. That’s up 78 percent from $2.4 billion in 1998. Oklahoma’s medical education program under Medicaid is among the largest in the United States. The state ranked No. 11 in overall payments in 2015 and was among a dozen states spending at least $100 million annually, the survey found. Tim Henderson, a George Mason University professor who did the survey, said Oklahoma needs an approved waiver to continue to attract federal matching funds for the OU and OSU medical schools. As Medicaid spending has increased over the years, concerns have arisen about the tracking of the money going to teaching hospitals under the medical education program, Henderson said. “It’s difficult to know for sure where that money goes in terms of how the money gets allocated to residency programs,” Henderson said. The study noted there wasn’t an ideal way to compare costs for graduate medical education, whose main sources of funding are Medicare, Medicaid and grants for medical training at children’s hospitals. In January, the state Health Care Authority submitted a request to allow the Medicaid medical education programs to receive supplemental payments because of the higher costs in recruiting and training physicians who serve a large number of low-income patients and to maintain access to health care for SoonerCare members. The Oklahoma Osteopathic Association was among several medical and business groups supporting the new amendment. The two medical schools echoed this view in their joint statement to Oklahoma Watch, saying the rates to their doctors reflect the “unique dual mission of the medical schools” to address physician shortages in rural areas and access-to-care issues. “The rates also take into account the higher investment required to teach and train both resident and student physicians,” the statement said. Bob Moos, of the Dallas regional office of the Medicare and Medicaid centers, said discussions are ongoing. The public comment period for Oklahoma’s waiver application ended March 4. The federal agency is expected to make a decision by mid-March. Oklahoma’s two medical schools could lose $115 million a year because the state spent Medicaid dollars on training doctors for well over a decade apparently without approval.